How exciting – The category list for the Earl Shilton Vegetable, Flower and Produce show on 4 August plopped through my door this week – I’d better look after my plants and grow some good stuff! As a child I had two uncles who lived in the North East, and for them, the local vegetable show was the highlight of the year. Both of them had turned their entire back gardens into prize leek factories, save for an area just big enough for a couple of deck chairs outside the back door. I recall one uncle did it all by the book, with pristine row upon row of leeks, which he fed and watered diligently. The other, being mildly more competitive, devised weird and wonderful inventions and contraptions to ensure that his leeks would scoop the grand prize and glory. One of these involved a tank in the garden which was rigged up to the plumbing system and filled up gradually with each flush of the toilet. You get the picture – it was quite stinky to say the least. 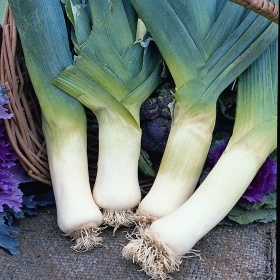 The contents were then fed down a length of drain straight to the root of each leek. It probably produced massive vegetables, but knowing their history I wouldn’t fancy them on the side of my Sunday roast. Anyway, scanning down the list, there are a good few categories I can enter, if indeed I manage to keep my crops alive and well for that long. Each entry is only 20p and First Prize is worth a whopping £3 – so a chip supper may well be on the cards for after. I entered my blackberry jam in the last show, and it actually waltzed off with the third prize. Not an experienced jam-maker, mine was in an odd collection of recycled jars. Whilst collecting my winnings, the judge kindly offered me some feedback, along the lines of, “great jam, rubbish container”. If I enter again, I’ll try to make sure it looks as good as it tastes. I learned that presentation was key in the vegetable category too. There I was, arranging my runner beans on a paper plate, only to find they were right next to a pristine display of immaculate beans on a backdrop of black card. In the vegetable section, I can enter everything from onions to beetroot, and from potatoes to radish. I must check if ‘6 peas’ means six individual peas rolling around on a plate or six pea pods. I don’t want to miss out on a technicality. There are also categories for flowers, home produce and crafts, and there’s even a section for children to enter their wares. The show should prove to be a cracking day out, as it falls on the same day as ‘Shilton by the Sea’. If you’ve not got a produce list, contact the Earl Shilton Town Clerk: clerk@earlshilton-tc.gov.uk or call in to the Earl Shilton Town Council office on Wood Street. 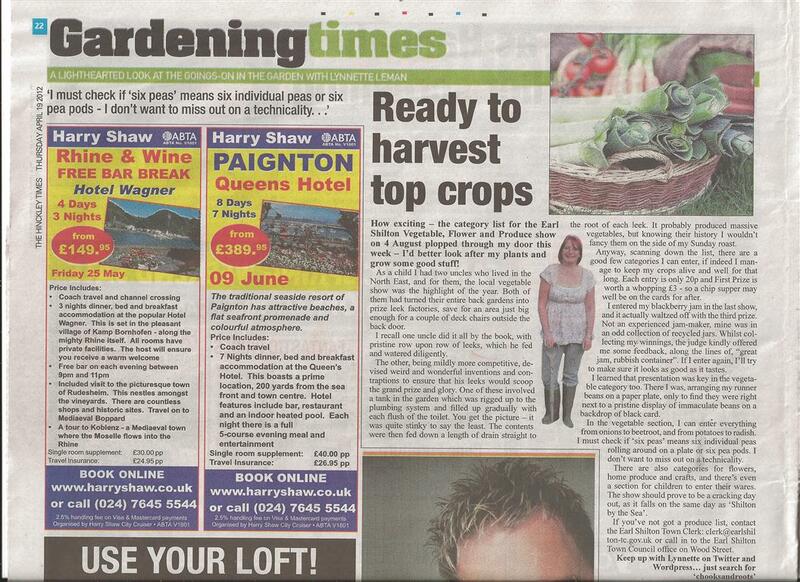 This entry was posted in garden, Gardening, The veg plot and tagged Earl Shilton, jam making, leek, produce, vegetable show by chooksandroots. Bookmark the permalink. Although a country town, we don’t have farmers markets or Vegetable shows. Actually, we don’t have markets here period. My favourite place in Adelaide (the State Capital – 389 klms away) is the Central Market, which is a real market. I find many of the shopping malls to be “sterilised” but the Central Market still has character as well as having “characters”.